It seems fitting that Apple, the biggest brand on the planet, should announce that its new London headquarters will be Battersea, the world’s most iconic power station and the original ‘temple of power.’ The ambition to blend utility with beauty might apply to both icons, and would certainly describe architect Sir Giles Gilbert Scott’s approach to the design of Battersea, but the south bank monument has had a chequered and difficult history. The power station was conceived in a cloud of controversy – who would want a polluting eyesore in the low-rise cityscape of 1920s West London? Surely it would damage paintings in the nearby Tate Gallery, endanger health or the coal-smoke would blacken London’s key landmark buildings. Even the Archbishop of Canterbury waded into the debate, which eventually reached the House of Commons. 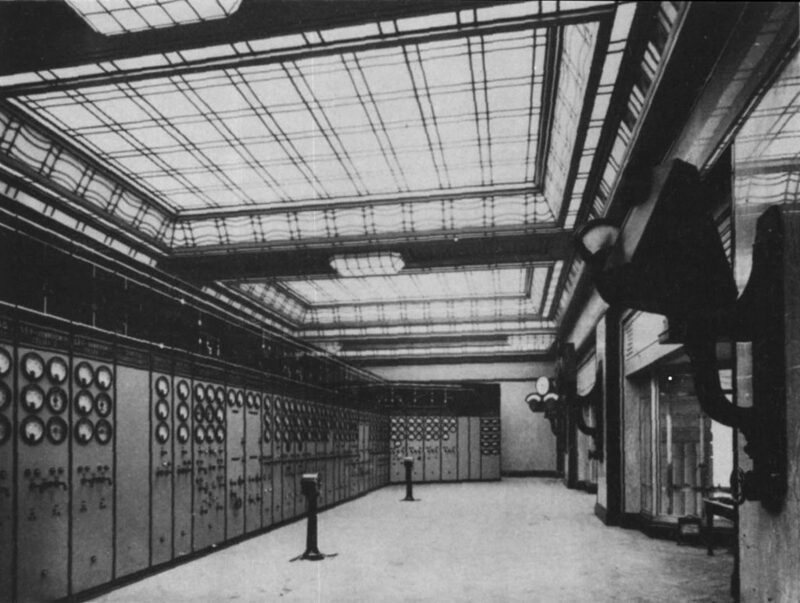 In the end London’s burgeoning need for reliable energy at scale presided, and by the late 1940s Battersea was the third largest power station in the country. Health and pollution issues were largely addressed by adopting the latest ‘gas-washing’ cleaning technologies, whilst the heavy-weight ‘architect of the exterior’, Scott, was brought in to enhance James Halliday’s original designs to assuage public response to the building being an eyesore. Together they created a new style that was to set a benchmark for other functional buildings from the 1930s onwards. For the first time beauty and a contemporary aesthetic became important design considerations: Scott chose the best materials, creating an envelope made from specially selected Blockley Bricks from Worcestershire and sand-coloured mortar to hide the structural steel frame. He added bold design flourishes in a deliberately sparse and simple façade, complemented by narrow vertical windows and pilasters to create a ‘Jazz Modern’ effect. The crowning glory, and defining motif, was of course the chimneys, each built on elegant stepped pedestals to emulate fluted doric columns, inspired by classical Rome. Inside, Halliday went to town to create an astonishing Art Deco interior, utilising polished terrazzo parquet floors, walls lined with grey ‘ribbon napoleon’ and black Belgian marble, wrought iron staircases, walnut veneer furniture, holophane light fittings and bronzed doors. Unlike nearby Lot’s Road Power Station, which was described as ‘an elephant lying on its back with its four legs in the air‘, Battersea soon turned from architectural liability to a cherished and much loved asset of the Thames skyline. In the 1939 Architectural Review it was voted the 2nd favourite modern building in Britain (after Peter Jones in nearby Sloane Square), and others rated it equal to St Paul’s as an iconic London landmark. The interiors became a visitor attraction in their own right, whilst the exterior memorably starred on the cover of Pink Floyd’s ‘Animals’ album, as well as becoming a 20th century cultural reference, featuring in the movie Help! by the Beatles, and on albums by Morrissey, The Who and Muse, amongst many others. Intriguingly, the classic four-chimney silhouette was not created until the 1950s, when Battersea doubled in size – originally it comprised two chimneys one each on a long axis perpendicular to the Thames. But the place has struggled to find a new use since it was decommissioned by the Central Electricity Generating Board in 1983. Demolition has been averted on more than one occasion, as overambitious developers have sought to create ‘London’s Tivoli Gardens’. In 1986 a scheme to turn it into Europe’s largest leisure complex with amusements, rides and an ice-rink anticipated over 6.2m visitors by 2000. 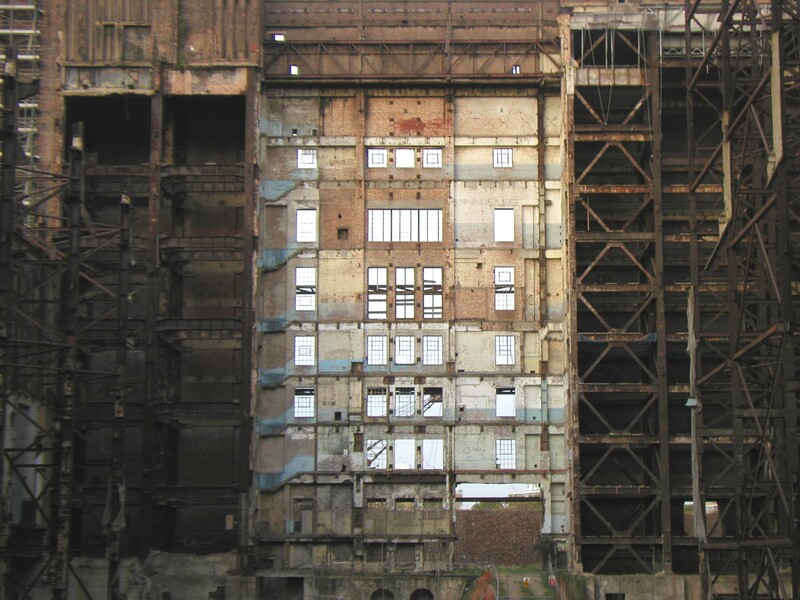 But work stopped in 1989, by which time the central boiler house at the heart of the site had been removed, leaving a roofless hole, exposed to rain, wind and cold of London’s weather. After 20 years of increasing dereliction and indecision, World Monuments placed Battersea on its 2004 Watch list for sites at risk across the world, joining a plethora of national and local voices concerned to ensure that the power station would survive the 21st century. Finally, a viable solution appears to be found, albeit there remain legitimate concerns that the building will be crowded out by the scale of enabling development that will surround it. Giles Gilbert Scott made his name through church and civic architecture, and was responsible for designing Liverpool’s Anglican Cathedral and the red telephone box. 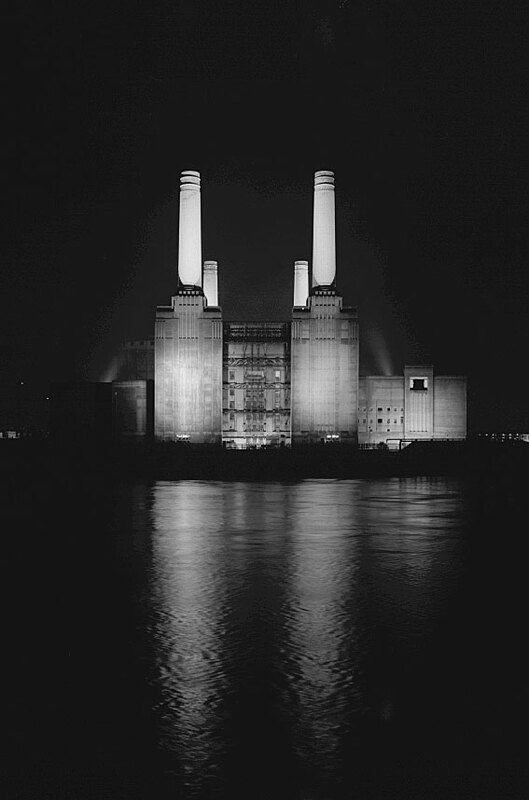 Battersea was his first power station, and led to several others. In a neat piece of symmetry, his last was Bankside, completed in the year of his death. Bankside has, of course, has successfully been reinvented as Tate Modern – from temple of power to cathedral of art. Let’s hope that Apple’s move will herald a new lease of life for this extraordinary piece of modern heritage.